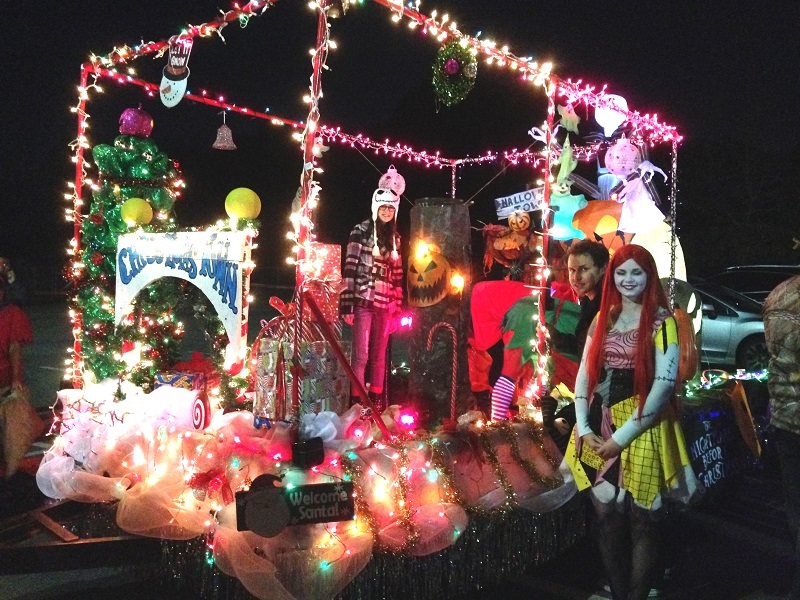 11th Annual Illuminated Christmas Parade in Bryant: "Candyland Christmas" is the theme for this year's lighted parade featuring floats, bands and special guests Santa & Mrs. Claus. The parade travels down Reynolds Road. Tuesday, Dec. 4 at 6:30 p.m. For info: 501-847-4702. 61st Annual Christmas Parade in Downtown Jacksonville: This nighttime parade features illuminated floats and the featured guest, Santa, along with parade favorites: marching bands, floats, dance groups and the fire department. The parade begins at the corner of Sharp & Main Streets and will end at First United Methodist Church on Main Street. Saturday, Dec. 8 at 6:30 p.m. For info: 501-982-4171, CityofJacksonville.net. 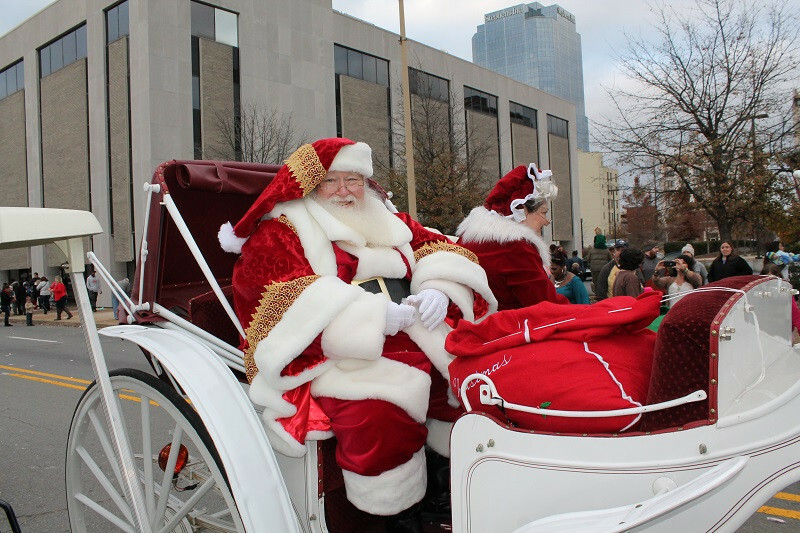 Big Jingle Jubilee Holiday Parade in Downtown Little Rock: See Santa, Mrs. Claus and Rudy the Reindeer in this annual parade in downtown Little Rock. The Parade will begin at 2nd and Broadway, follow Broadway to Capitol Avenue, then proceed down Capitol Avenue to the State Capitol. The parade is scheduled for 3 p.m. on Saturday, Dec. 1. Before the parade, catch a screening of "Elf" at Ron Robinson Theater at noon ($5 adults, free for kids 12 & under). 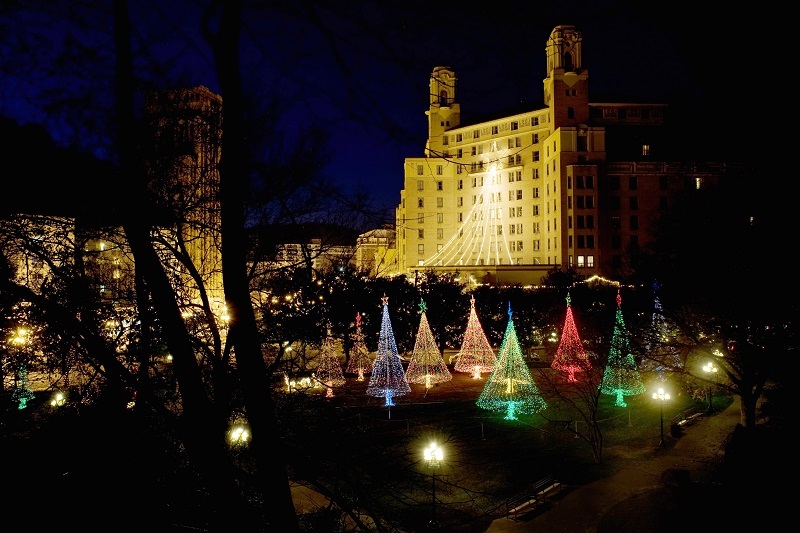 After the parade, the State Capitol will be illuminated in its annual holiday display at 6 p.m. Santa Claus will help lead the festivities, which include fireworks, music and children's activities. For info: 501-904-5228, HolidaysInLittleRock.com. Christmas Parade in Cabot: This year's theme is "A Country Christmas!" and includes floats, bands, clowns and Santa. The parade begins at Panther Trail and travels on South Pine St., ending at Central Elementary School. Sunday, Dec. 9 at 3 p.m. For info: 501-920-2122. North Little Rock Sertoma Club Christmas Parade: The annual parade, themed "Hometown Christmas," begins at Pershing Boulevard and Main Street, heads south into the Argenta Arts District and concludes in front of the City Services Building (120 Main St.). Sunday, Dec. 2 at 2 p.m. For info: 501-753-7902, NorthLittleRock.com. Oaklawn Rotary Christmas Parade in Downtown Hot Springs: Along with the superb parade which features floats and marching bands, the entire town of Hot Springs will be aglow with holiday cheer. This year's parade theme is "Christmas Vacation." Parade route moves north to south on Central from Whittington to Orange. Turn left onto Orange and finish at Transportation Depot.Monday, Dec. 3 at 6:30 p.m. For info: HotSpringsChristmasParade.com. Sherwood Christmas Parade: Don't miss this fun holiday parade with school bands, floats and fun. The parade, themed "Rockin’ Around the Christmas Tree," will start at Lantrip Road and Kiehl Avenue and will end at Oakbrooke Drive. Santa will be there, too! Saturday, Dec. 1 at 2 p.m. For info: 501-835-9599, Facebook.